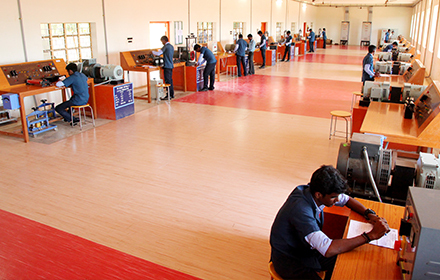 The Department of Electrical and Electronics Engineering (EEE) started functioning in the year 2010 with the approval of AICTE with a sanctioned intake of 60 students. This provides quality education to the students to produce top notch engineers. The ultimate mission of the EEE department is to provide its undergraduate students with the knowledge and skills to solve variety of electrical and electronics engineering problems as well as to prepare them to conduct research in the advanced engineering field. The main strength of this department is its team of well qualified, experienced and professionally skilled faculty members. 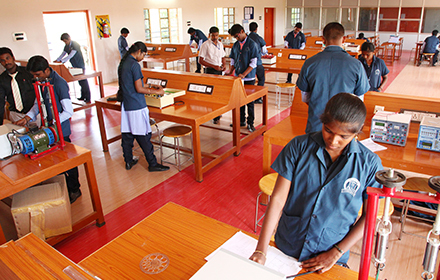 Bright and airy classrooms are equipped with modern teaching aids such as LCD projector etc., The laboratories are highly modernized to reflect the rapidly changing trends in technology. The department’s library has a good collection of books and up-to-date journals.